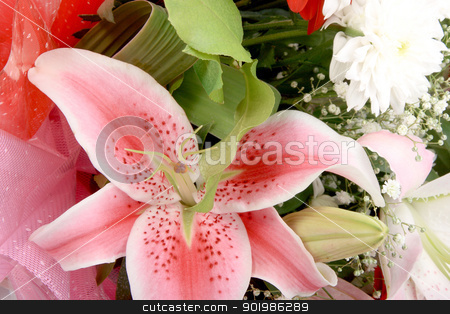 Bouquet with pink lily. Close-up. Studio photography.